Have you seen the last article we had about Country Inspired Living Rooms? We’re sure you did! You liked it and you’ll surely like this one even more! 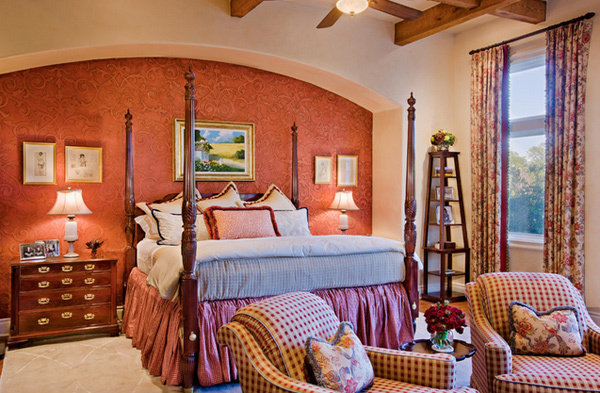 Like how we described the living rooms, country inspired bedrooms are basically the same. Warmth and comfort is never compromised. Typically, these two should never be compromised in terms of designing or decorating room, especially if it is the bedroom – it is where we rest and spend most of our time with. 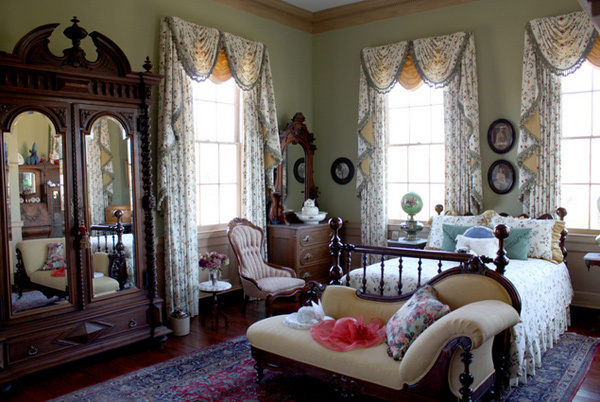 The bedrooms that we will be showcasing in today’s article are rooms wherein the use of drapes, huge-sized beds – which is usually four-poster queen sized beds, huge windows for light and ventilation, matching side tables, and sometimes these bedrooms come with fireplaces, too. Country homes, like in movies usually keep the owners warm through the fireplace. You will notice that the colors used for the fabrics are usually floral and light colored. 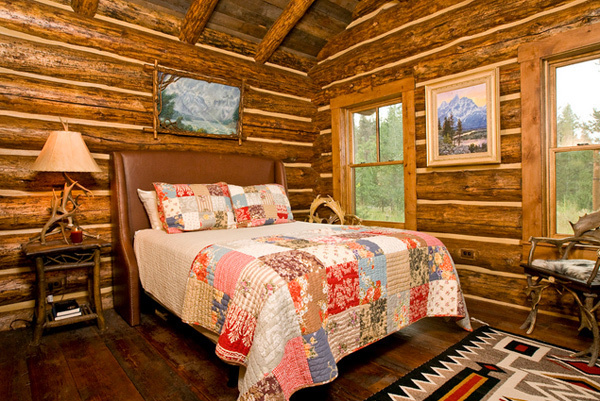 Here are the 15 photos for our Country Inspired Bedrooms! Pretty in pink and yellow! This room is sure small but really cute! Using of traditional wood for the cabinets and drawers is common for country inspired homes! Don’t you just love the simplicity in this room? 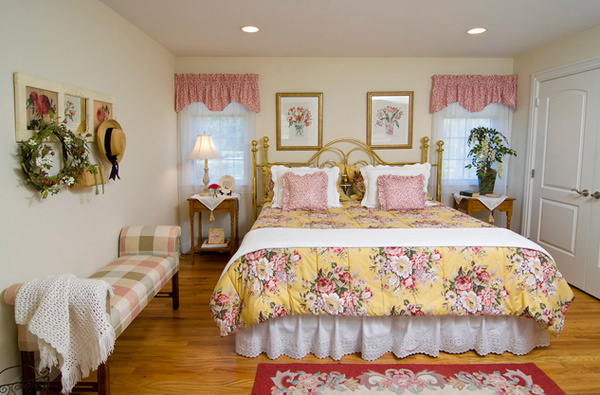 Floral drapes, four-poster bed and wooden furniture complete a country inspired home! 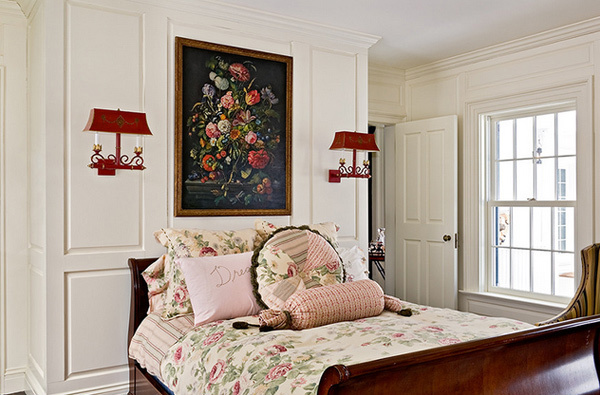 Country designed rooms are usually simple in character, but at the same time gracious! Night curtains are really lovely! 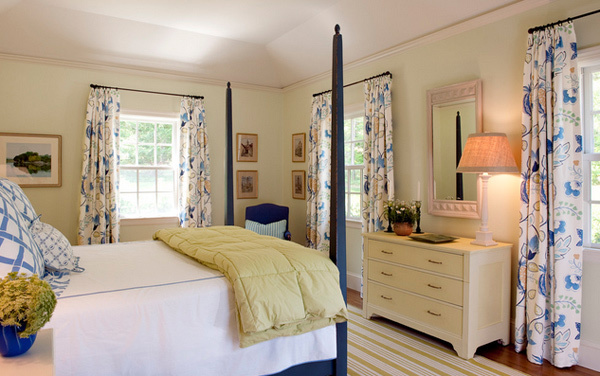 They turn lively bedrooms to a discreet room during the time of rest. 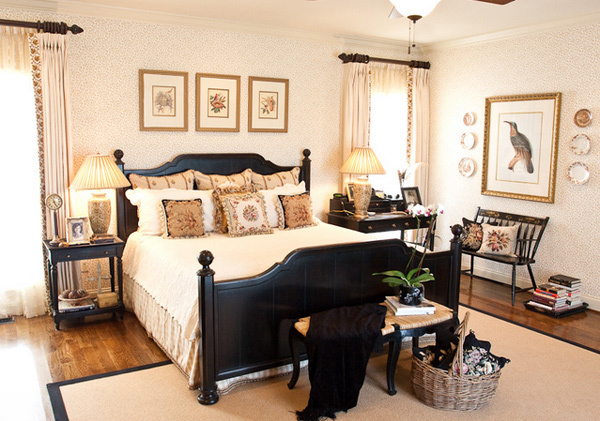 Don’t you just love the dark color of the bed that contrasts with the light shaded walls and decor on the room? This room looks great with the usual stuff country inspired bedrooms have, but at the same time, it looks much better with the fireplace! Unique bedroom wherein it has more of a wooded area. The quilted beddings and pillow cases are lovely too. 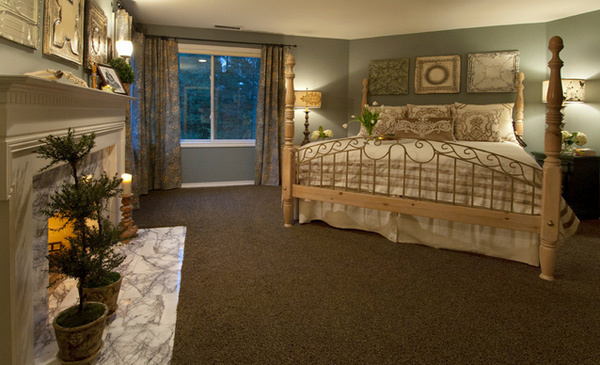 We were amazed at how this room actually turned out! Matching everything from wallpapers, curtains to beddings. Lovely bedroom – simple, homey and really cozy to sleep in! 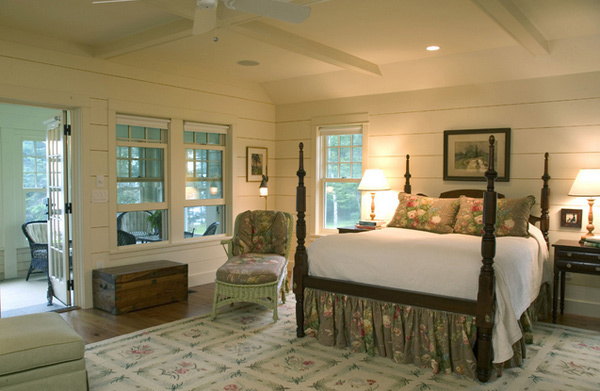 Country bedrooms are usually simple and it is the drapes and the bed sheets that are colorful or floral which brightens the room. Love the accent wall! 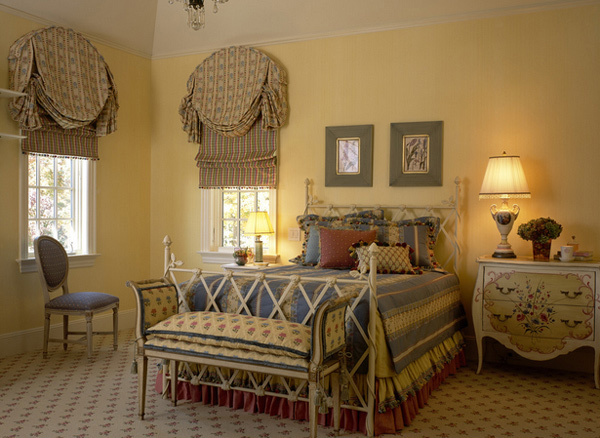 The color used totally looks good with everything in the bedroom. 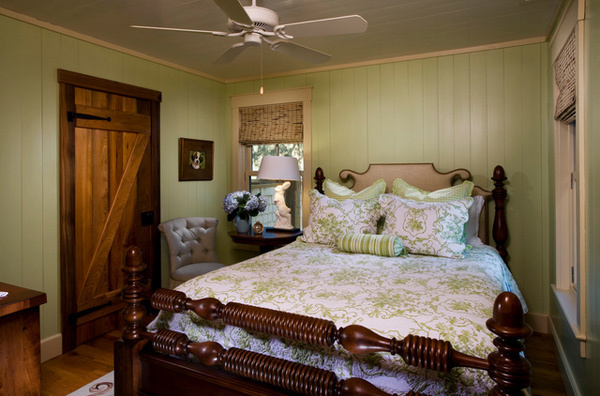 The light green shade of the bedroom looks stunning. The highlight of the bedroom is the unique door. Small bedroom with huge pillows on a small bed. Cute room isn’t it? 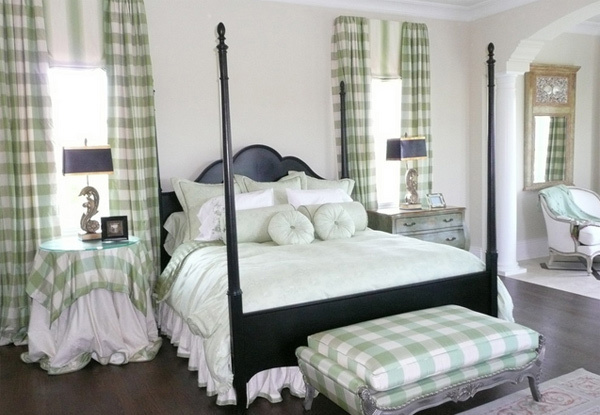 The thick curtains look great for this room! It matches the mattress on the bed and the pillow cases too! 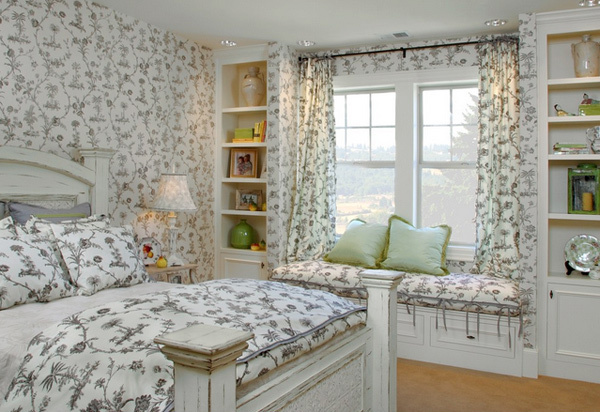 That was the 15 Pretty Country Inspired Bedrooms that for sure blew your hearts away! The designs are almost the same in concept as you may have noticed, but the look, the color theme, the floral designs and how they may really be cozy and comfortable even by looking at them! Colors may vary but the look is practically the same. We sure hoped you liked this as a follow up with the Country Inspired Living Rooms! More to come in Home Design Lovers!